These are the reviews for Crop Vale Farm. There are 20 reviews. A very nice and relaxed atmosphere at this property - well looked after by the owner ... Although I ticked "no" for consideration to re-book - it was only because we always like to try somewhere new .... Loved the area with plenty of interesting places to visit. Hot tub was a bonus. The Lodge is a great place and in a stunning location. Both Sue and Rodger are the perfect hosts as they are around if ever you needed them.The standard of equipment and crockery is the very best with more than enough plates and dishes ( all of which are matching ) to cater for 4 people. The Lodge has a feeling of comfort due to its comfortable furniture and layout of the kitchen where everything is in the right place so you don`t have to spend time looking for things. The interior is nice and bright due to it having been painted rather than plain wood. The bathroom is nice and large and there is always plenty of very hot water.The location is very near the top of Smokey Lane a track which has a few bumps and holes but its not an issue, and we both agree that the location is fantastic, with views over to Bredon hill and across open fields where you can see a range of birds and perhaps even deer if you are lucky.There are also plenty of walks from your front door along footpaths and tracks. We would love to go back when summer is in full swing just so that we could sit outside and watch the grass grow. A Great holiday thanks Sue and Rodger. I would even go back just for the Chocolate Brownies. We had a great relaxing break and would recommend Crop Vale Farm. We hope to return at some point in the future. 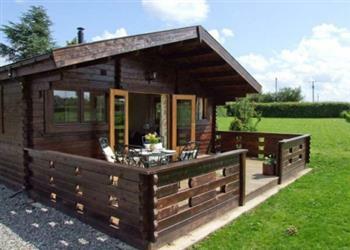 The log cabin was wonderful and the location was great with plenty of places of interest to see. The views from the cabin were lovely with lots of walking to do. Overall we had a great week and would definitely recommend. 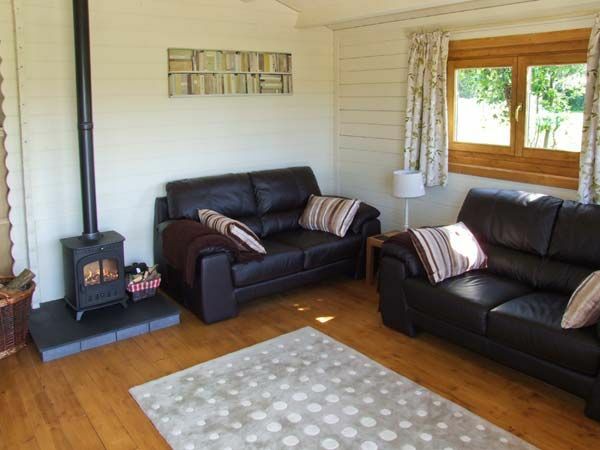 Beautiful log cabin with amazing views of Bredon Hills. Very well furnished, extremely clean and very peaceful & scenic. A great way to spend Christmas to escape the annual bustle and frenzy. Absolutely fantastic host....most outstanding feature of this property is not inside but in its position with a 180 degree panoramic view of the surrounding countryside. A lovely lodge in farm setting that had everything we needed. Chickens and cows close by which the kids loved to visit. In a perfect location for visiting nearby attractions/Cotswold villages. The goodies on arrival were much enjoyed! We loved everything about the property; it was probably the nicest we have stayed in. Charming, comfortable and artistic and the view across the fields to the hills was fabulous. We enjoyed sitting on the decking admiring it all. Super location and super cottage. This was a lovely cottage in a beautiful location. It was a good base from which to explore the surrounding area and a comfortable place to come back to in the evenings. We would definitely recommend this property as somewhere to stay with small children. Perfect. We will definitely return. Lovely location, lovely hosts, lovely lodge, lovely holiday. Me and my partner had a lovely time away at Crop Vale Farm. It was very cosy, and had lots to do. Would definitely come again. We had a fabulous holiday at Crop Vale Farm. The property was excellent, peaceful, and perfect for our needs. We had a brilliant time! It was a peaceful rural retreat. It did us the world of good, and was just what we needed. The overall comfort of the property was excellent, very relaxing, and a home from home. Crop Vale Farm log cabin was delightful. The welcome was fantastic with crusty bread, butter, eggs and local apple juice. We were on business but would definitely go back for some quiet time - just what we needed, thanks. We thank Sykes for the excellent job they have made to find us a cottage corresponding to our standards. The owner had included absolutely everything that visitors might need on holiday. The attention to detail, both in the furnishings and as a hostess was superb. The location was fantastic, the property was well designed and very comfortable. Every effort was made to make the property luxurious. If you're looking for other cottages around Crop Vale Farm, we've got some cottages below which may take your liking. There are 104 cottages within 10 miles of Crop Vale Farm - and they have reviews too.